1. In what ways is your service “Green”? The Vacuum Cleaners that we use have a Hepa filtration system that filters out 99.97% of Airborne particles. Also, our vacuums are bagless which reduces waste. 2. 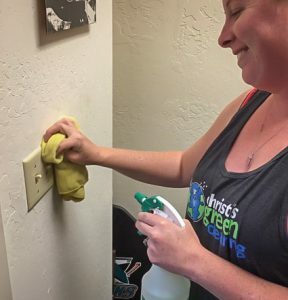 What do you include in a house cleaning? 3. Why is there a first time cleaning fee? 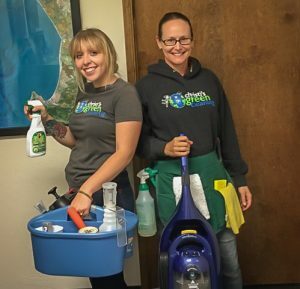 The first time we clean a clients’ home, it generally takes 2 – 4 times longer. The reason is that it takes extra time to do a thorough cleaning before we can get set up on a regular Maintence Cleaning schedule. It takes time to learn the set up of the home and to determine what the priorities will be in each home. There are many areas that will need extra attention, such as baseboards, fan blades, blinds, etc. Once a first time detailing has happened, then we will be able to maintain the home in much less time. We also offer a $50 Gift Certificate for referring a friend who becomes a regular, on-going client. 4. Why do the rates range so much? These are just a few of the many variables that will need to be addressed before determining a final rate. 5. Should I tip my housecleaner? Gratuity is very much appreciated for a job well done. 10 – 15% is the general rule of thumb. As a large % of the cleaning service rate goes to overhead expenses (Worker’s Comp, Liability, Payroll Taxes, Training Costs, etc.) any extra bonuses for our Cleaning Techs to be happy and committed are always a plus! Even if you don’t tip each time your house cleaner shows up, you may want to include a tip during the holidays. In this case, a tip is more of a thank you gift. This tip can be as small as a few dollars or as large as the amount you’d pay for one visit.